Bravely Default is still a personal favorite in my RPG game collection. The impressive story followed up with the addictive side quest kept me playing for the longest time. When Bravely Second: End Layer came out, I couldn’t help but see if the sequel could keep my attention. Square-Enix had some hit and misses with their RPGs in the past 15 years. The company struggled to make think of new gameplay mechanics and artistic directions, but their plans left customer asking more questions regarding the games. The Bravely series goes back to simpler turn based JRPG style that gamers can love and follow. Bravely Second’s story picks up where its predecessor left off. The Heroes of Light saved the world and Agnes, one of the four heroes of light, ushered a new era of peace until a mysterious villain kidnapped her. It is up to Yew and his team to rescue Agnes before things spiral out of control. Fans of the first game will enjoy revisiting the world and seeing familiar places. Not much has changed when you visit town and locations. The story may not entice you, but Bravely Second’s gameplay is what hooks you in. The JRPG follows a turn based combat with a BRAVE option, a move that allows you to use multiple turns in one use, and DEFAULT option, a defensive move that stores extra moves for you. Using the Brave and Default options creates a new strategy to combat and boss battles. Bravely Second creates a new gambling challenge in combat. Meeting a certain battle requirement sets you up for another round of combat with a chance to get extra experience and money. 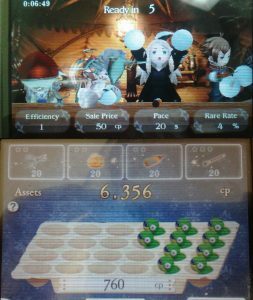 Bravely Second contains multiple job classes for the four heroes. Acquiring and leveling up the different jobs is a challenge all on its own since some jobs can only be obtained through side quests. Some fans might get intimidated by how many jobs there are and how to maximize each job class. Knowing how to set up the right job will take some work but can be rewarding. 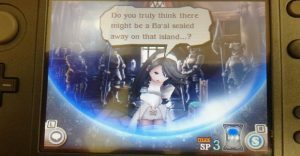 Bravely Second contains a bunch of extra mini games and features that add onto the gameplay. Acquiring Street Pass helps summon friends in battle and build/improve a moon base that gives you added bonuses for combat. 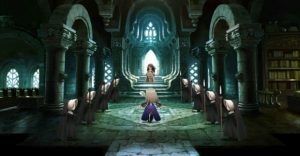 Bravely Second may not hook you with the story, but it picks itself up with the artistic style, combat, and different job systems for a fun change. Are you ready to Return to Arkham?